The House adopted the police committee’s recommendation — 172 votes for, five against — to terminate the contract of Robert McBride, the former Ipid boss. Although the contract lapsed on 28 February, and an acting incumbent has long been in place, the committee report had to be approved formally to have an effect. It was one item on Thursday’s lengthy Order Paper as the National Assembly prepares to rise on Wednesday 20 March for the 2019 elections. There is a parliamentary business that must be done. It includes adopting the fiscal framework and the Division of Revenue Bill that actually transfers the Budget allocations to provinces and councils. The National Assembly adopted this bill 211 votes for and six against on Wednesday. And then there are the treaties government has signed, but have not yet been approved by Parliament, as must happen in terms of Section 231 of the Constitution. Some of that has been done in the past few weeks, and on Thursday more Trade and Industry-related treaties were ticked off in the National Assembly, mostly dealing with intellectual rights related to performances. 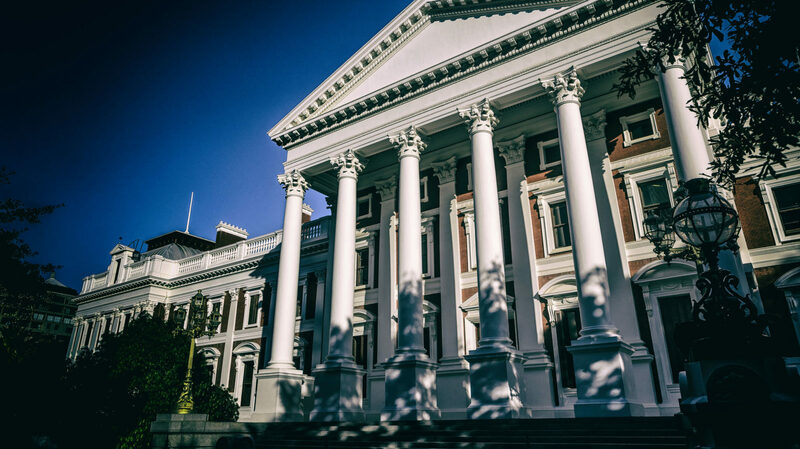 These treaties now go to the National Council of Provinces (NCOP), where the in-tray is rapidly swelling, with some bills dating back to 2016, which the National Assembly has been passing in recent weeks. That includes the Traditional Courts Bill, whose passage through the National Assembly on Tuesday illustrates the risks of leaving lawmaking to the last minute amid the pressure in an election year. The controversial Bill effectively ties rural communities to traditional courts and is widely seen as an ANC sop to traditional leaders in the run-up to the 2019 elections. “I’m casting my vote in the positive”, or in favour of the Traditional Courts Bill, even though the vote had closed. Objections from opposition benches were dismissed, and the bill referred to the NCOP. Finish and klaar. The way this bill was passed may become a point in arguments before the court; already underway is a civil society campaign to stop this being signed into law. Without the opt-out provision, critics argue the Traditional Courts Bill effectively creates an unconstitutional separate justice system for rural communities. It’s always been a controversial bill. Two previous iterations failed legislative muster. The bill was workshopped by academics, traditional leaders and civil society under the auspices of the justice ministry to include an opt-out clause, and was re-introduced to Parliament in 2017. The opt-out clause was dropped by late 2018, when after a controversial public hearing process that saw traditional leaders participate actively although they are not members of the committee. The committee approved the Bill. Clearly, there was political pressure to get the Traditional Courts Bill, now without the opt-out clause as traditional leaders had lobbied, through the House before the elections. Jeffery as much as said so, sweeping, or closing, the debate. While there was no prospect of the bill coming into effect before the elections, the first legislative stage was passed and the next Parliament would be able to revive the bill in the NCOP. Traditional leaders’ concerns over the opt-out clause were voiced most recently in early March when Co-operative Governance Minister Zweli Mkhize convened what was described as a “consultative meeting between the political leadership from various ministries and leaders of the National House of Traditional Leaders and other key representatives from the traditional leadership sector”. The Traditional Courts Bill was on the agenda, as were traditional leaders’ powers, functions and tools of the trade. But what slipped past Mkhize’s watch, and that of Parliament, was the two-year deadline to fix by early March 2019 the Municipal Systems Amendment Act, as ordered by the Constitutional Court. In an application by the South African Municipal Workers’ Union — it wanted to overturn Section 56A that prohibited municipal managers, and managers reporting to municipal managers, from also holding a party political office — the court ruled the law had been incorrectly tagged, and thus was invalid. The deadline to remedy this was 9 March 2019. Co-operative Governance said on 11 March that it had applied to the Constitutional Court for a 12-month extension. “Although there was some confusion as to who was responsible to effect the order, that confusion has now been dealt with and we have now placed (an) amendment bill back in Parliament. We have approached the Constitutional Court to alert it that the legislation will not be enacted in time as ordered by the court,” said Mkhize’s ministry. On Thursday Mkhize’s spokesperson Musa Zondi confirmed the ministry had not yet heard from the Constitutional Court regarding its request for the extension. What this means is that there is another pressing item for the incoming post-election Parliament. Amending Section 25 of the Constitution to expressly make possible expropriation without compensation is also being kicked to touch for the next Parliament to deal with. Although the ad hoc committee established to pursue this constitutional amendment in line with a decision of the House in early December 2018 held meetings, there was simply no time to finish the work before Parliament rises later in March. On Wednesday the ad hoc committee decided to “recommend that the sixth (next) Parliament be tasked with finalising the task of amending the Constitution”. That recommendation and committee report will go to the House on Tuesday for formal adoption, so it, like the police committee decision on McBride’s contract non-renewal, becomes a formal decision of the National Assembly. Also before the House on Tuesday or Wednesday will be the eight nominations for the SABC board that has been inquorate for about three months — the nominations were decided over two weeks — and the recommendations for the Commission for Gender Equality. Among all this, there is a slot reserved for a South Africa’s possible post-Brexit trade treaty with the United Kingdom. Right now it’s a bit messy as while the terms of Brexit are unknown, the UK’s tariff regimen published on Wednesday, according to Trade and Industry Minister Rob Davies, maintains duty-free access of wine, but not finished cars — a move that would damage the domestic automotive sector. On Friday the trade and industry minister is in consultations to nail down a bridging agreement to ensure South Africa can continue to trade with the UK, with a view to bringing such an agreement to Parliament for the required constitutional approval. Tuesday looks like a marathon session as the various committees are finalising what’s called “legacy reports”, effectively an account of what they have done over the past five years since MPs arrived at the national legislature after the 2014 elections.